This sophomore album from the Swedish indie pop group was produced by Bjorn of Peter, Bjorn and John fame. 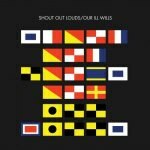 I have to admit, when I first listened to the new Shout Out Louds record, Our Ill Wills, I thought of a great angle for this review. It was going to go with this: One day, Shout Out Louds are going to have a truly amazing Best Of compilation. Each of their two albums to date have provided us with two or three knockout tracks and an album's-worth of mediocre material to back them up. The two early standouts on Our Ill Wills were to be, "Tonight I Have to Leave It", the first single and lead-off track, and "Impossible", already remade and remixed and released to the blogs. It turns out, Shout Out Louds have a bit more up their sleeves. The Swedish group is not showy about their indie pop, and so they've fallen into this expanding mid-flight of bands like Hard Fi, Figurines, and the Boat People, who do an essentially within-genre thing, but with an easy expertise that keeps you wondering how sunny melody continues to reinvent itself. The prototype band is always the Shins, and while some Scandinavian bands recently have managed to twist the formula to poppify drones and other New Wave elements (I'm thinking of that little band with that little song "Young Folks"), Shout Out Louds walk a straighter, closer line. Critics tell us we only like it because the singers have the soft consonants of Scandinavia; we allow what is essentially derivative pop to charm us out of proportion to the quality of the songs, but so what -- it's charming, we're charmed, we bop along. So anyway, back to Our Ill Wills. The band's actually moved closer to the pop side of things on this album, relative to Howl Howl Gaff Gaff. That album shares the band's love of melody, but the instrumentation's more straight rock -- electric guitars rule the day -- and simper. The band, by then, had already perfected this strung-out glory come chorus-time (as on "The Comeback", for instance). Our Ill Wills finds the band more introspective, using more synth, piano and acoustic guitar to accompany their signature woodblocks and cowbells. You know how some songs seem to capture something essential about a certain moment, or feeling? It's why so many latched hard onto "All My Friends", with its nostalgia/regret at turning 30. But Shout Out Louds might have a competitor in "South America", in a totally different context. Over a peppy drumbeat and a pretty orchestral hook, vocalist Adam Olenius laments the jealousy and apprehension of seeing an ex-girlfriend out at a club -- and gets that combination of insecurity and love's ruined aftermath. He talks himself around towards something resembling confidence, telling himself he's ready to see her out, but it's the realization that, "There's a chance that a look from a stranger can give you so much more", than what they had hits hardest, and directly. As mentioned up top, there are a couple immediate standout tracks on the album -- "Tonight I Have To Leave It" and "Impossible". The first is classic SOLs in the tradition of "The Comeback" and "Very Loud" -- catchy, melodic rock with the whole soaring violin counter-melody thing, and a sensibility that's becoming pretty identifiable as Shout Out Louds. In contrast, "Impossible" is expansive and sedate, the kind of lazy summer song that fools you into thinking it's simpler than it is. But unlike on Howl Howl Gaff Gaff, the good songs don't stop with these two front-runners. Throughout the album, the band manages to shift between shades of regret and celebratory carelessness with a growing expertise. Shout Out Louds may not be topping many year-end lists for originality, but my guess is they'll continue to churn out ever-improving indie pop that, yes, will still charm us. And one day, their "Best Of" will be a great listen.